. She enjoys the time she spends with Zed while he's filmmaking. She used to care for his father, who died of cancer. But Zed is off to Goshen College and she feels more alone then ever. 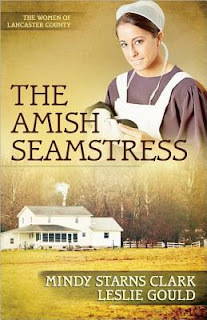 She knows she has fallen in love with Zed but knows that he being Mennonite and her Amish, as well as the fact that he thinks of her as a friend, that she should grieve for what never was and move on. She even dreams about living with her parents for the rest of her days. Then a call comes asking for Izzy to come take care of another and though she feels she doesn't want to caretake, she knows it is close to Zed's college. She goes and renews her friendship with Zed's sister Ella, and becomes entranced in the history of the Amish with the Indians. Izzy finds her true calling and learns much of her people and herself. She finally learns to put her faith in God and what he has in store for her. This is the last installment in the Women of Lancaster County series and I'm sad to see it end. Full of history, sweet romance and memorable characters, as well as a few leaps and twists, The Women of Lancaster County is a lovely series that will remain with you long after you read the last page.